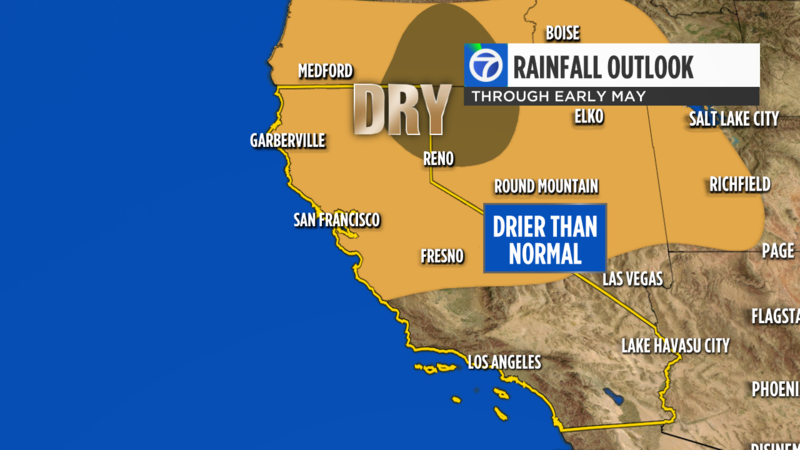 SAN FRANCISCO (KGO) -- With a drier and warmer pattern about to take over through early May, the National Weather Service in Monterey says it appears the rainy season has concluded for the first half of the year -- and what a season it has been. 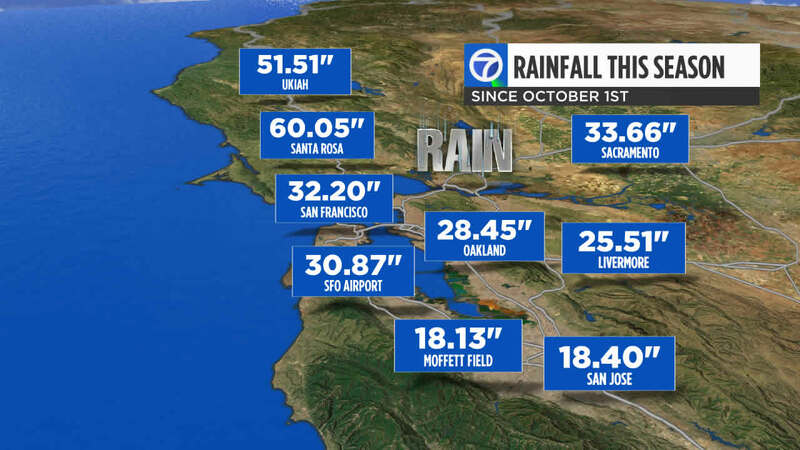 This graphic shows rainfall totals in the Bay Area since Oct. 1, 2017. San Rafael had it's wettest year -- Oct. 1 - Sept. 30 -- on record with 62.69" of rain. Falling over an acre of land, that much rain would equal 1.7 million gallons! This graphic shows rainfall rankings among Bay Area cities in 2017. Napa, Livermore, Oakland Airport, Kentfield, and Watsonville saw their 3rd wettest season on record. Sacramento had it's 4th wettest winter on record. Our snow pack was equally as impressive in the Sierra. The Northern Sierra not only shattered the wettest year on record but as of April 25th it's 4" above the old record at a hefty 92.4". This graphic shows wet winter records in the Bay Area. Statewide we currently sit at 163% of normal statewide for snowfall.